SWOT analysis template Google slides - Download Now! What is the SWOT analysis template for Google Slides for? Our collection of presentations elements is replenished by this unique SWOT analysis template for Google Slides. A creative flask serves as a distinctive element of the slide. Four text blocks are provided for detailed descriptions. 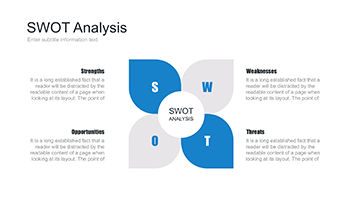 Using the template, it is easy to show the results of SWOT analyses. Such visualization tool will help to clearly describe the topic, provide all the necessary proofs and facts, draw attention, and make speeches vivid. If you are going to use Google Slides for displaying the SWOT analysis, this slide will become a useful working tool. 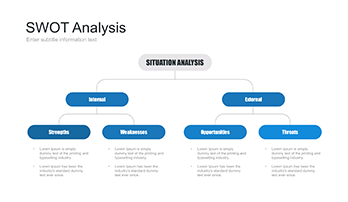 The element is used by business employees since this type of analysis is a crucial part of each company’s work. It allows considering an enterprise from all possible sides and finding out either strong or weak points. As a result, management is aware of possible threats and is ready to react timely. Perfect quality. Choosing a SWOT analysis template for Google Slides, pay attention to this element. It has no defects and ready for displaying on any screens. We offer only tested templates. Thus, it is guaranteed that users will not have problems with such a slide. Free download. 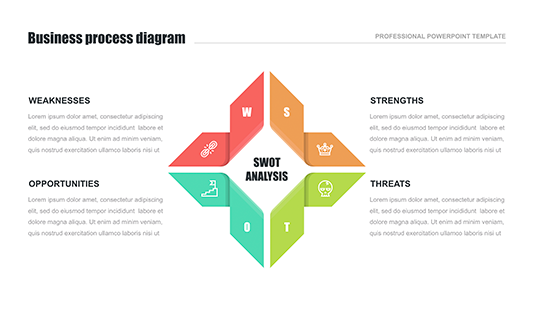 Users and visitor of our site have the opportunity to get this SWOT analysis Google Slides template for free. Multipurpose element. As this type of analysis is necessary for each company, this slide will be helpful for every speaker who is going to develop this topic. 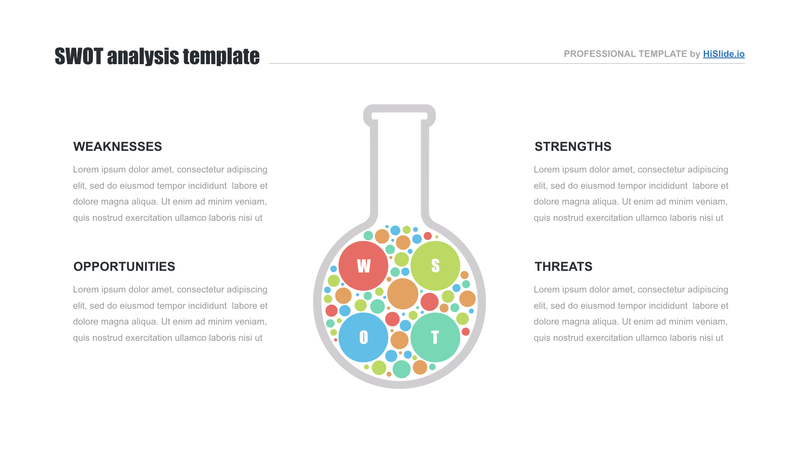 The template can be found in a wide range of startups, business projects, and other presentations. Easy-to-use ready-made slides. Skilled speakers use this SWOT analysis template for Google Slides as assistance at work. With its help, employees create new projects quickly and with minimal efforts. Thus, this convenient tool simplifies their work.